My bags are packed. And so are Guero’s. 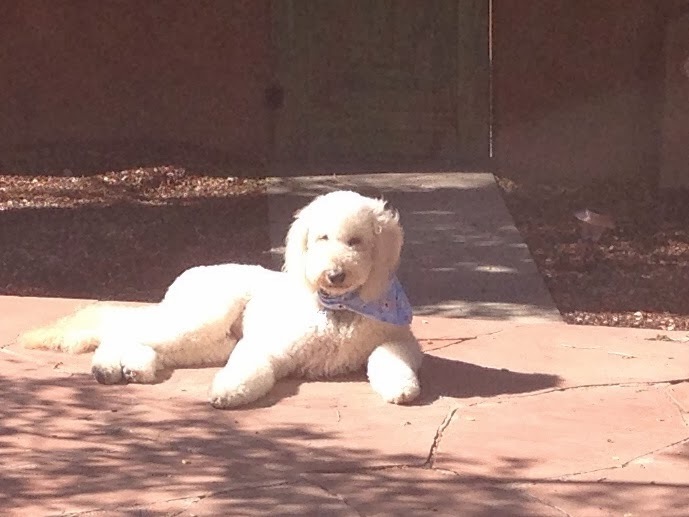 (He has always longed to be an outside dog which he could be in Santa Fe thanks to the enclosed courtyard and patio where he spent most of the day.) We’re ready to relocate. 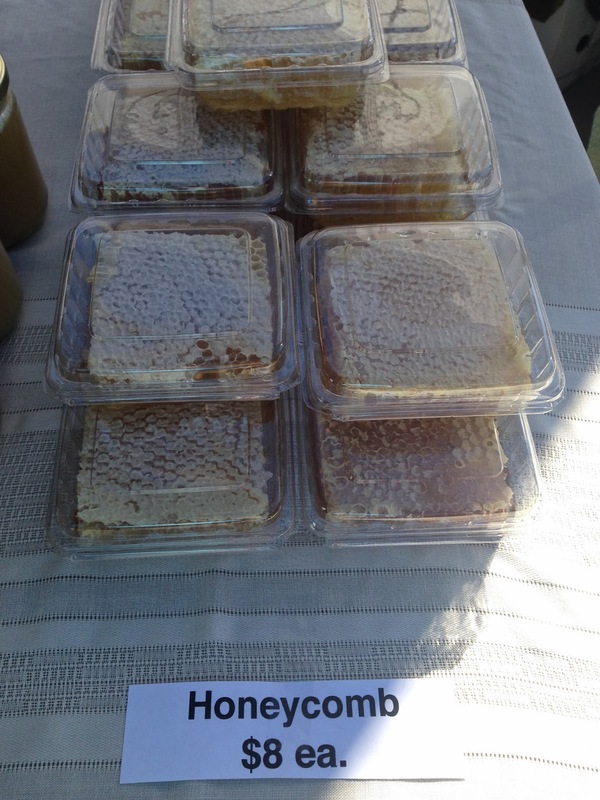 After too many years of farmers markets every weekend, we did it. 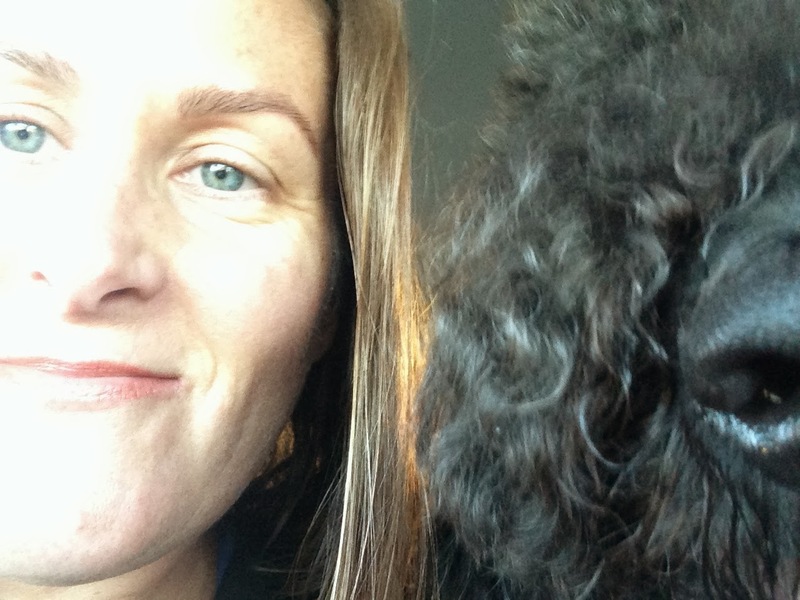 We took off on our first vacation in way too many years. It was a magical week we spent in one of our favorite cities doing the things we love. Being outdoors, reading, checking out the art and architecture, purveying for amazing food, eating amazing food, hiking, cooking amazing food, meeting fabulous new people, loving on our dogs, Nacho and Guero (pictured below) and soaking up the relaxed life of a Santa Fean for David’s birthday celebration. The weather was perfect. High in the low 60’s and low in the low 30’s. There was a chill in the air at night and the sun shined brightly during the day so you could just peel off the layers of clothes and keep moving. The city is overflowing with quality, eco-consciousness and a spirit that is palpable. The people are capable, the food is fabulous and there is no sign of typical American junk–Burger King, Walmart, McDonald’s, etc. Sure, there is a Starbucks, but it’s off the beaten track and it’s even architecturally Santa Fean, which scores big points with me. Clearly, the city’s leaders have painstakingly made decisions that were not the best “money-making” decisions, but that were best for the city’s quality of life. Driven by entrepreneurs, the city is comprised of independent retail shops, restaurants and other businesses with nary a drop of corporate America. There are even several independent book stores that are thriving. That should put things in perspective for you. 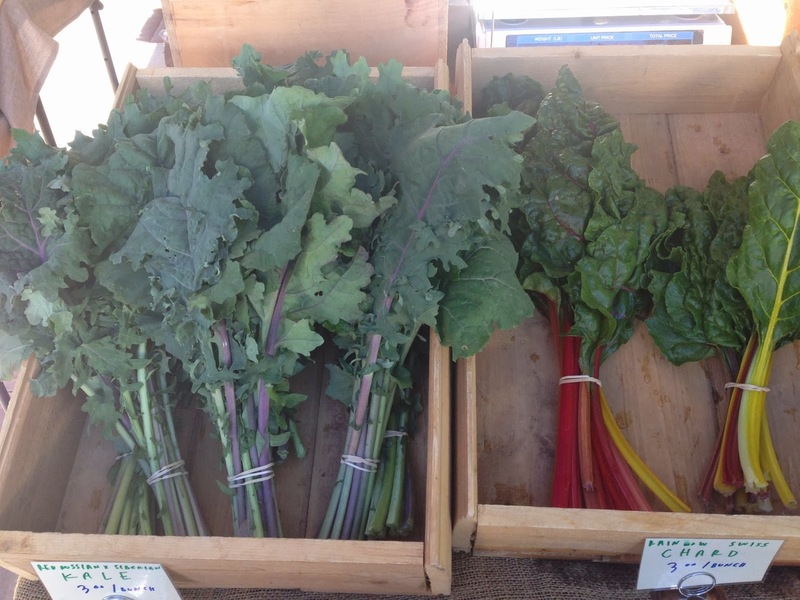 But what really impressed me was the dedicated and deep-rooted local food movement. 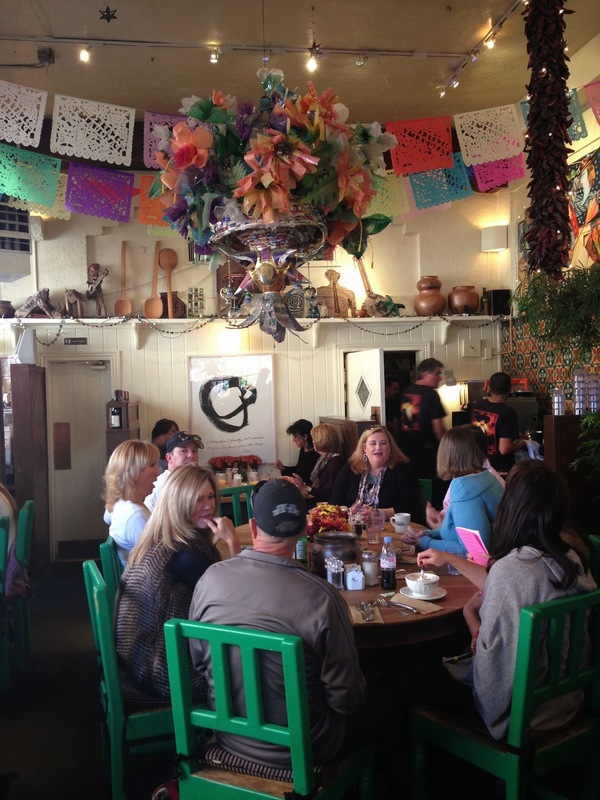 Most every restaurant features organic eggs and locally sourced ingredients. 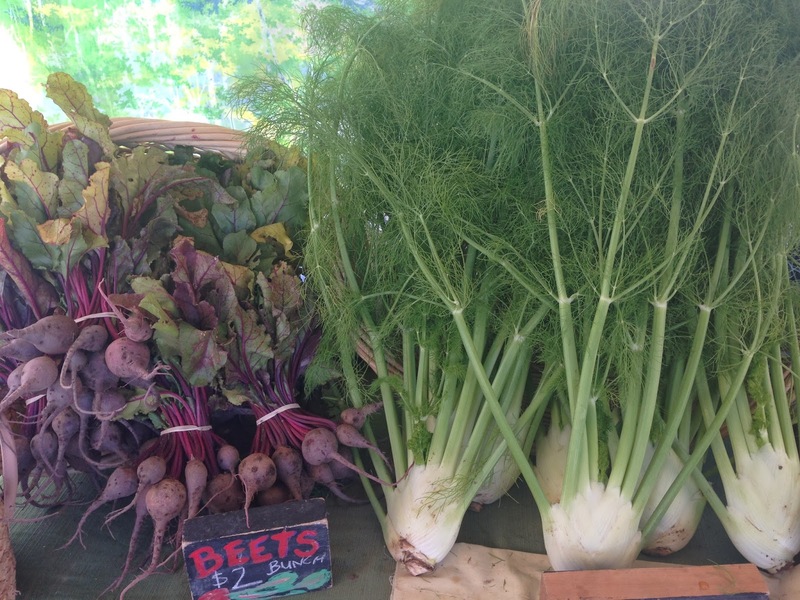 Rather than be an exception, the farm-to-fork concept is the norm for the restaurant scene. 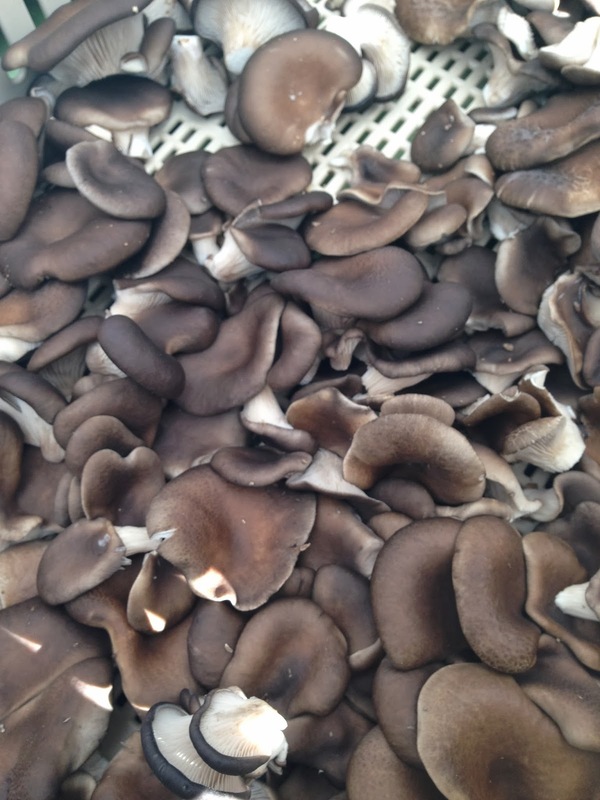 Incredibly, those who don’t promote local foods are anomalies. 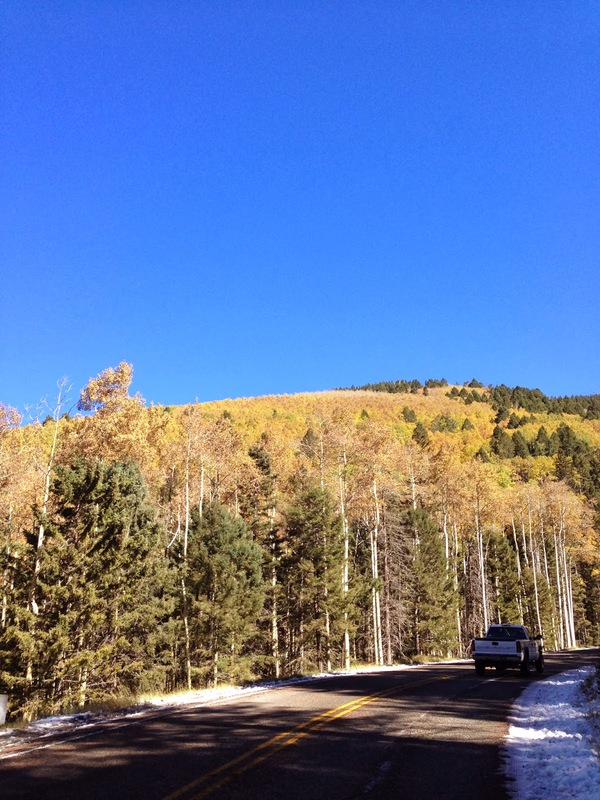 I was moved on all counts, as it has been more than five years since we last visited Santa Fe. 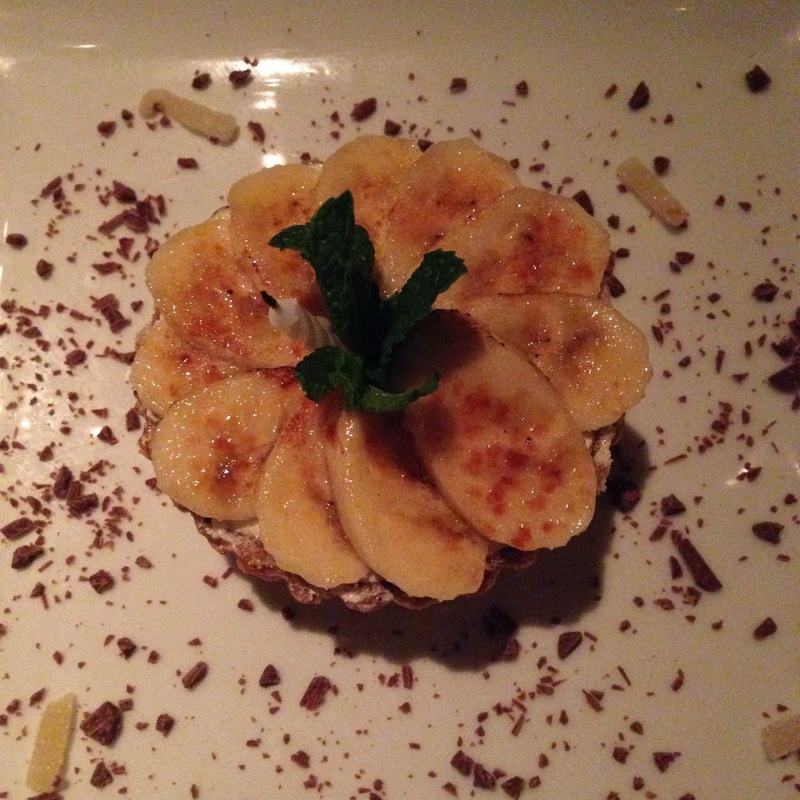 While I was able to revisit some of my favorite places, I am thrilled to share that I add a few new eateries and hot spots to my list. 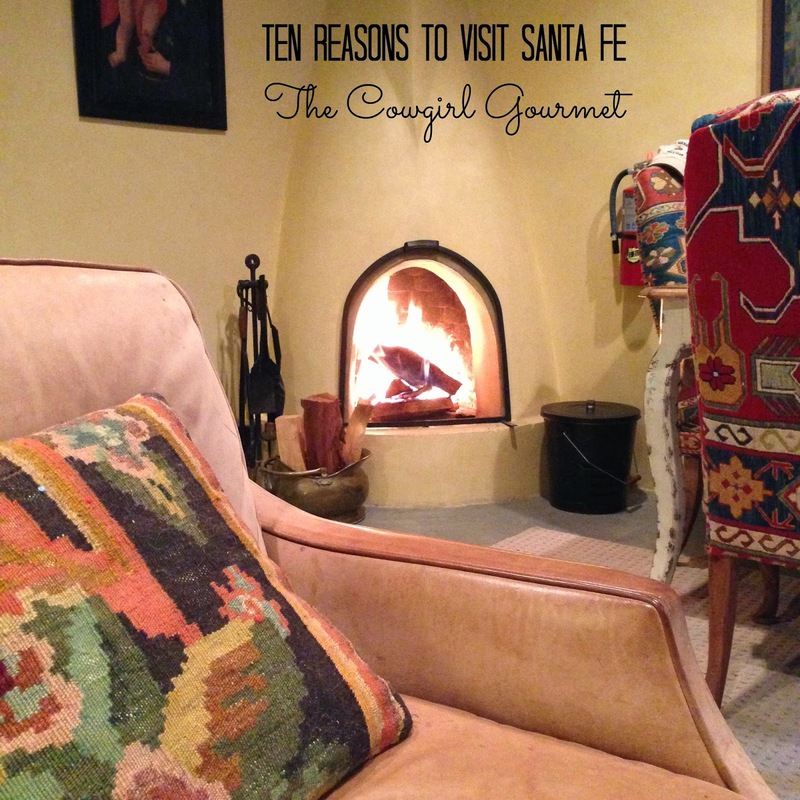 Here are 10 reasons I will be returning to Santa Fe and I hope even just a few of these inspire you to book your trip soon as well. 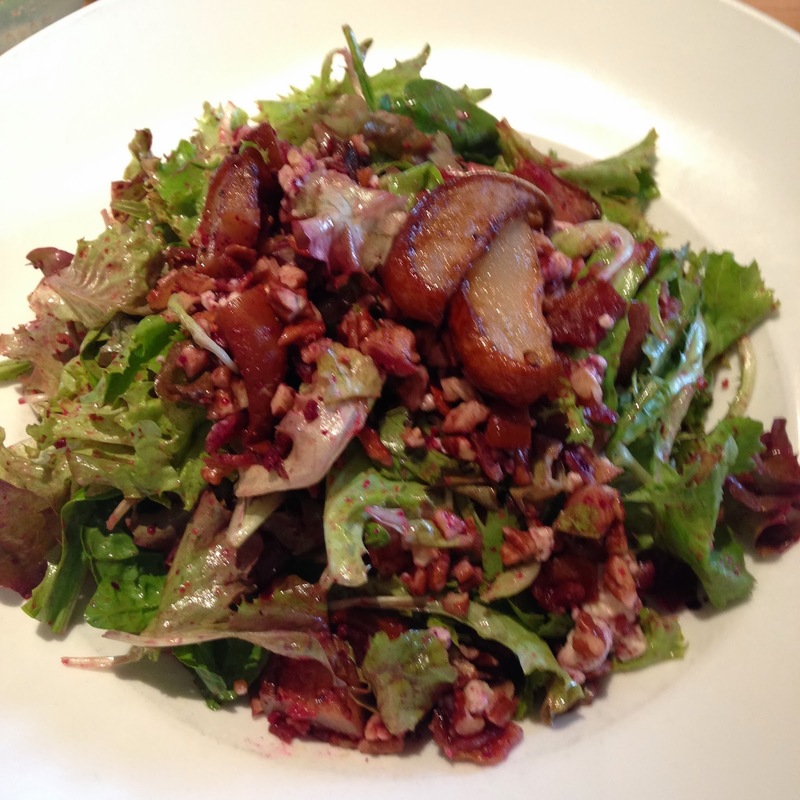 Vinaigrette–Holy smoke, Batman. If this restaurant was in San Antonio, I would be there everyday. (We went twice while we were in town.) 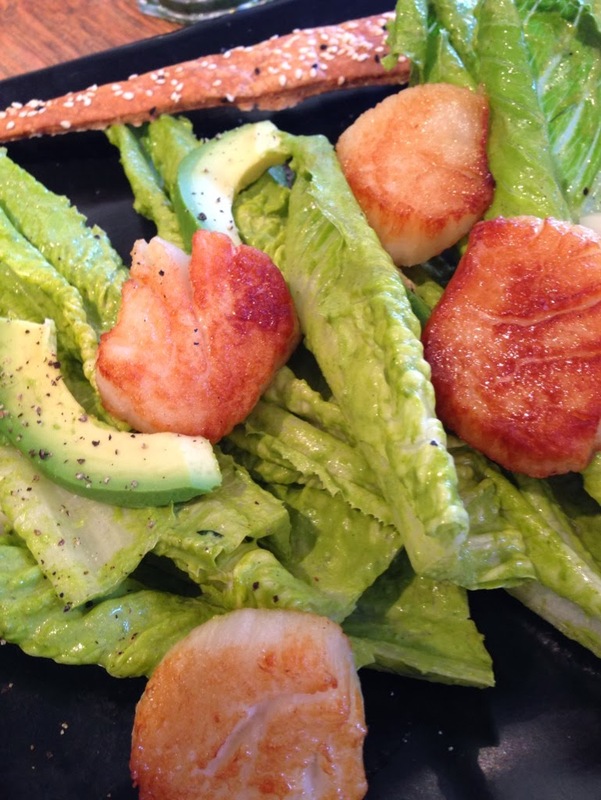 A salad-centric restaurant where even the men will be delighted with what’s on the menu. 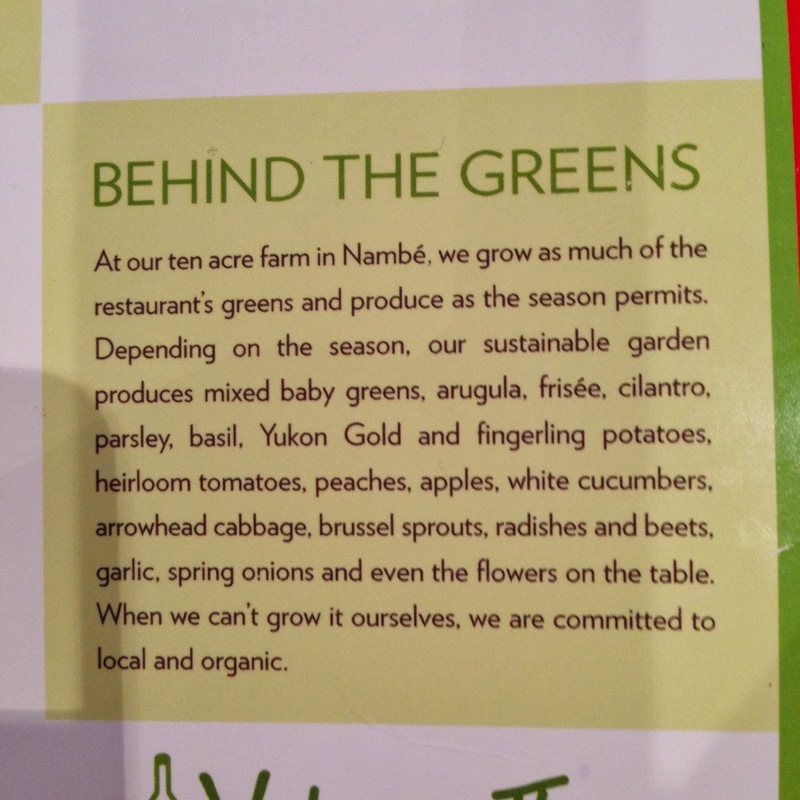 The owner, Erin Wade, has an organic farm in Nambe, where she grows much of the restaurant’s produce. 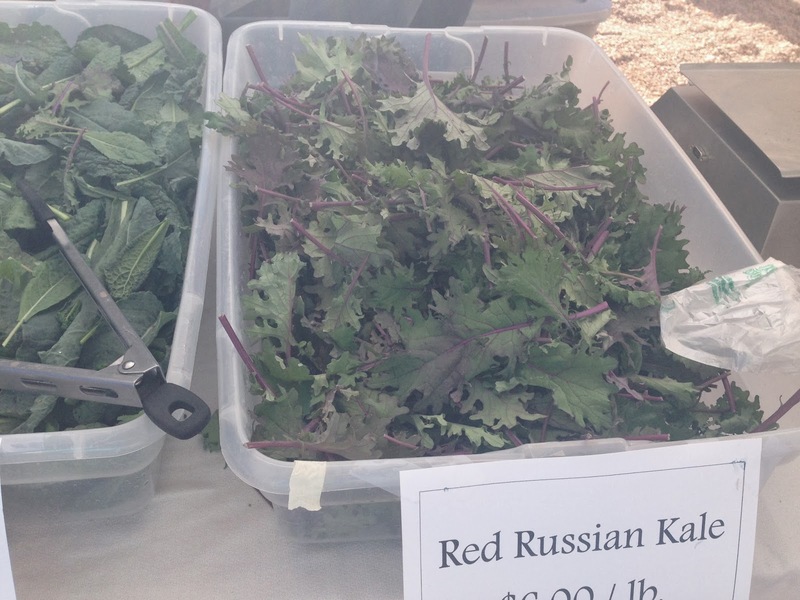 This reality makes the salads that much more flavorful and fresh. 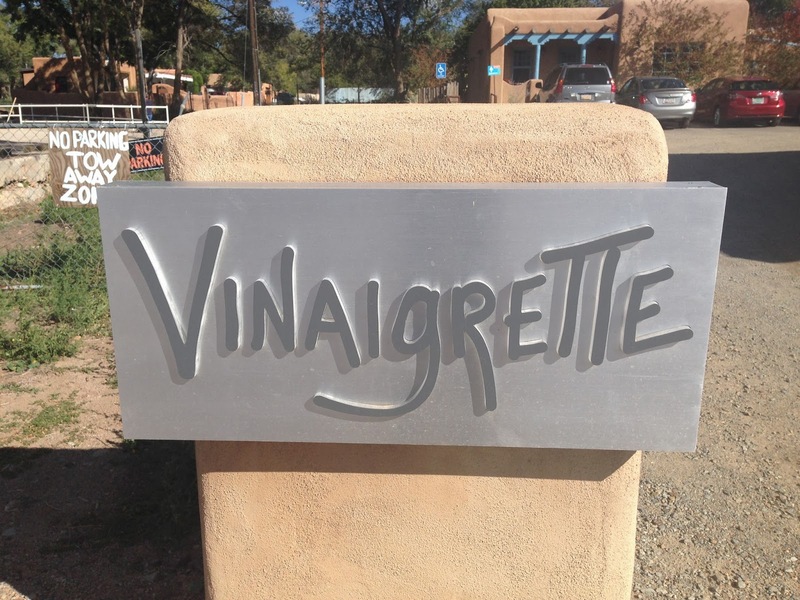 Perhaps you recall that, just before we left on our trip, I featured a version of one of Vinaigrette’s famous salads that I call the Mostly Kale Caesar Salad. 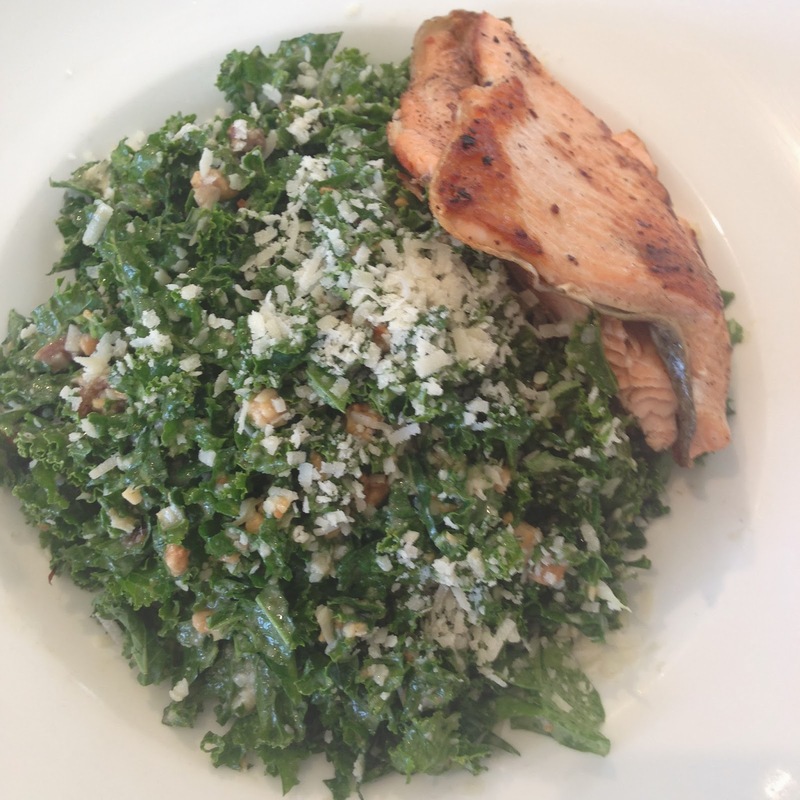 Well, this is the real deal, the All-Kale Caesar Salad with grilled trout. And it’s amazing, though David said he prefers my version. Choose from a stunning array of spectacular and creative salads and add protein like grilled trout, grilled artichokes or even chicken. Not interested in eating like a rabbit? There are a variety of sandwiches and soups on the menu as well that will not disappoint. Clean, modern and fun, the space fills with light and happy, smiling faces of people who return again and again for the same old thing or to try something new. 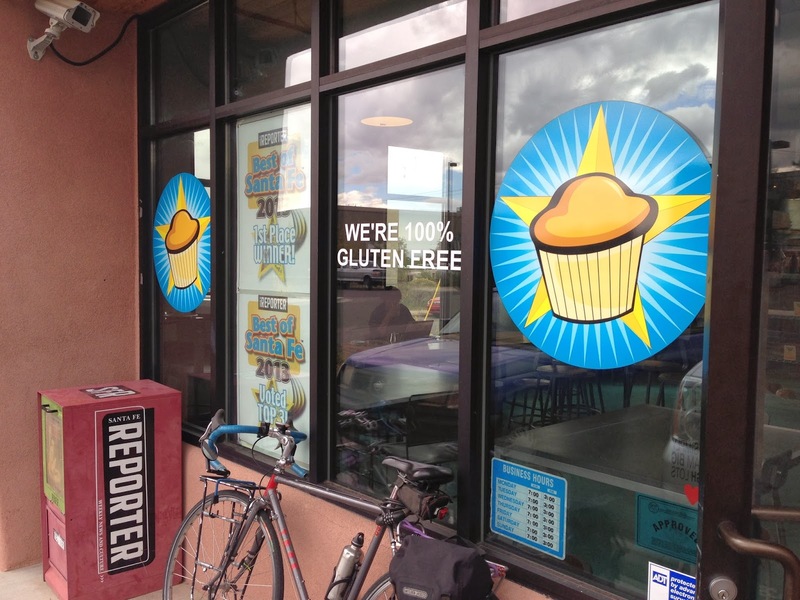 Revolution Bakery–This 100% gluten-free bakery won me over. Big time. We tried the brioche and the sunflower seed boule (this was almost a paleo bread) and loved it, but the vegan coconut macaroons were what made me a true believer. I promise you once I perfect these macaroons–and I will–I will share the recipe with you. 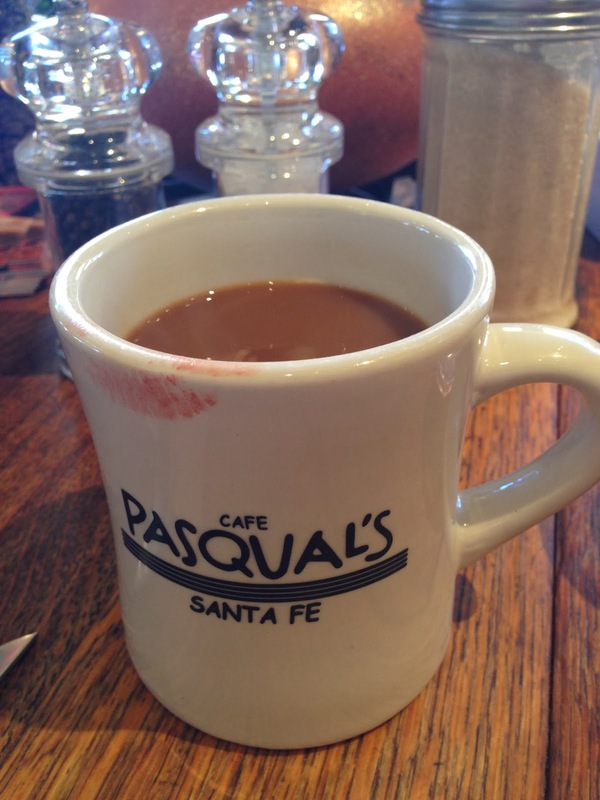 Cafe Pasqual’s–Our tradition. Along with hoards of others. 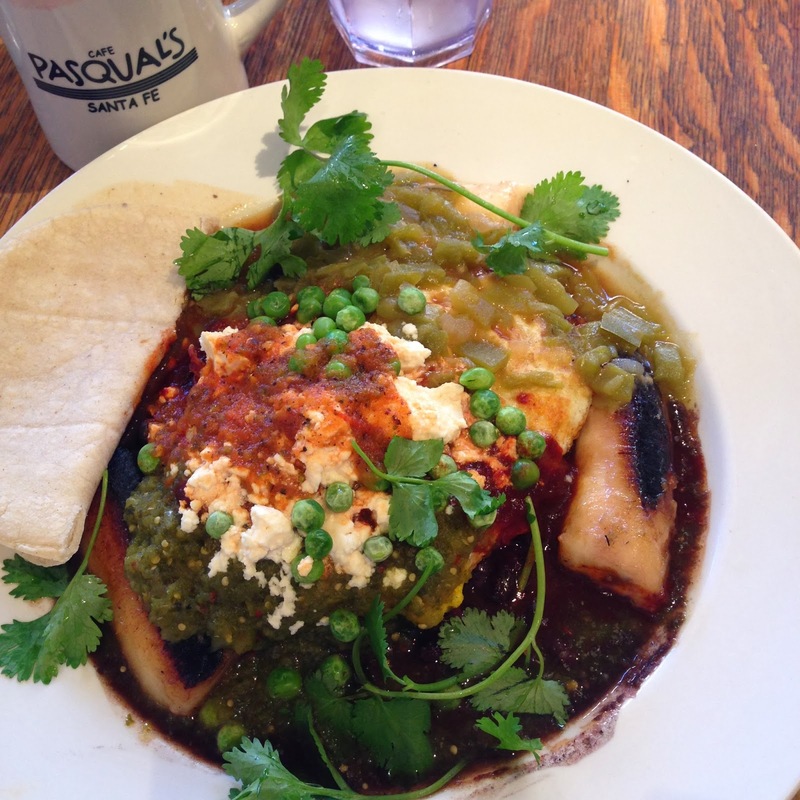 Cafe Pasqual’s is the place and always has been. 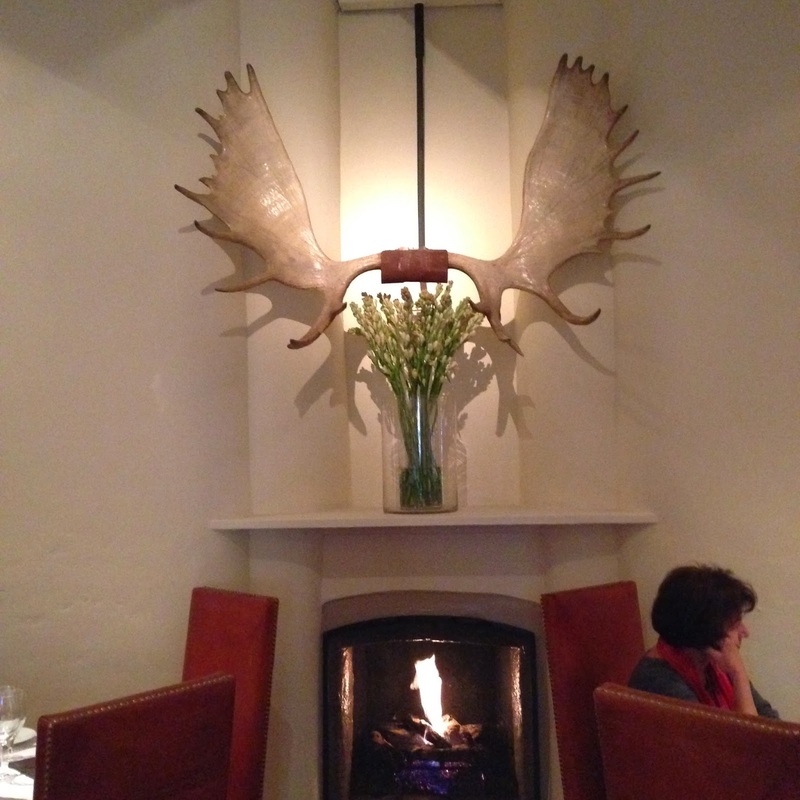 The locals even eat here. But if you don’t want to wait in line for 40 minutes, go at 3 pm and you’ll walk right in and sit down at the communal table. 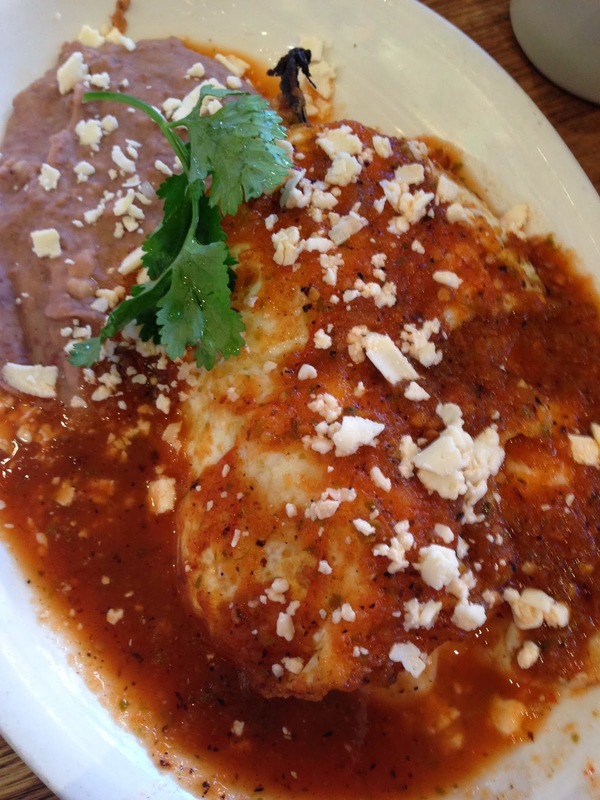 Meet your neighbors and enjoy the locally sourced food. 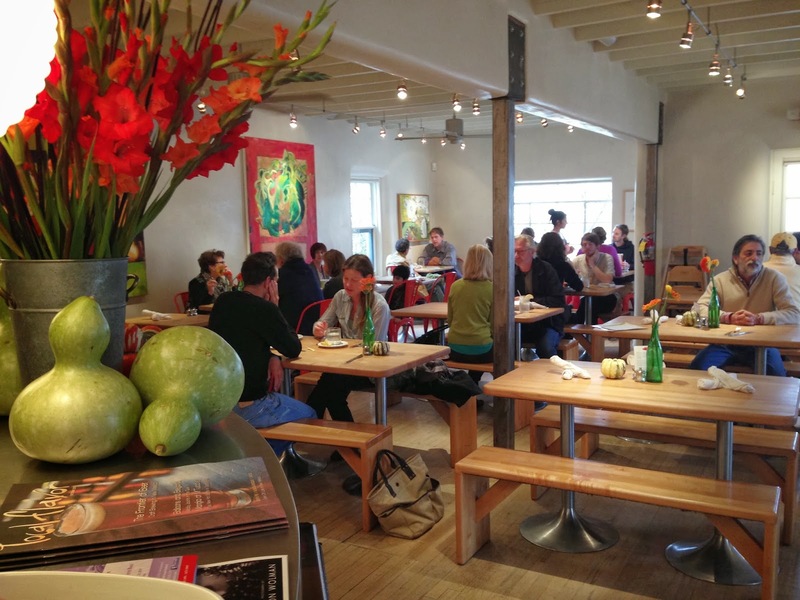 The communal table is the focal point of the restaurant. 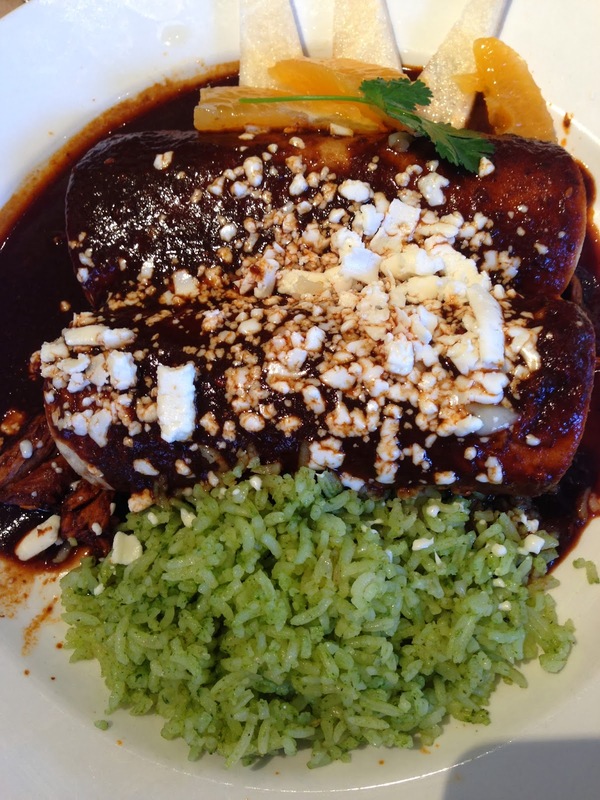 Whole Foods (on Cerrillos)–Wow. That’s all I have to say. Wow. This store blew me away. While it’s not a big store, it is one of the company’s “newer” stores, so it’s quite impressive. It is exceptionally well merchandised and had so many foods we love. 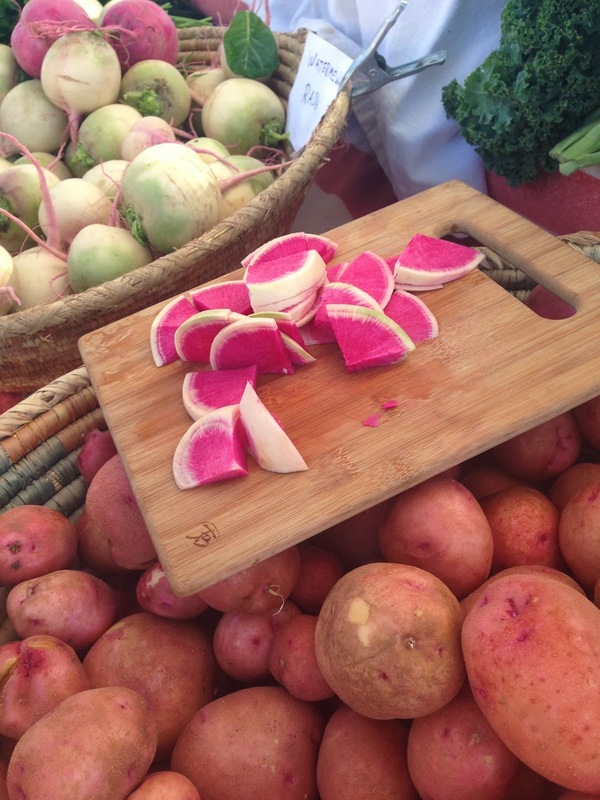 We could move to Santa Fe just for this Whole Foods. 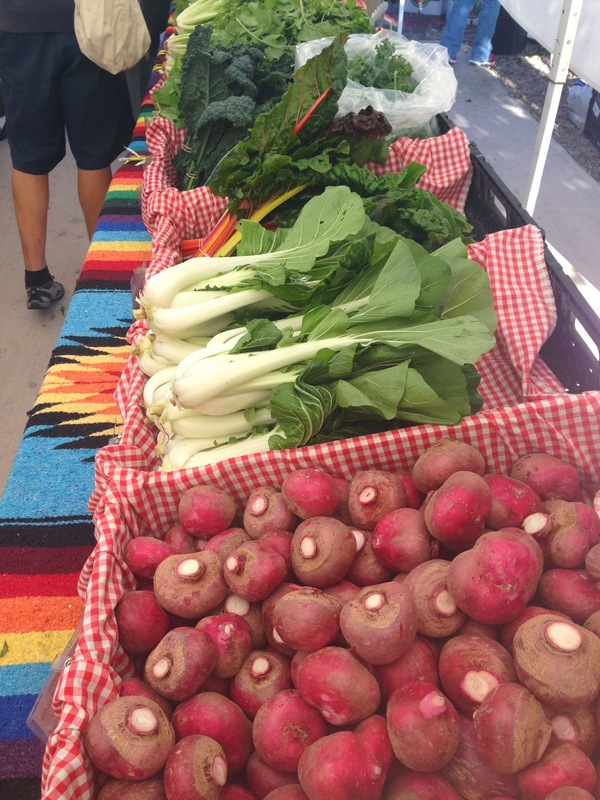 Santa Fe Farmers Market–Considered one of the best farmers markets in the country, we were inspired by our Saturday morning visit. 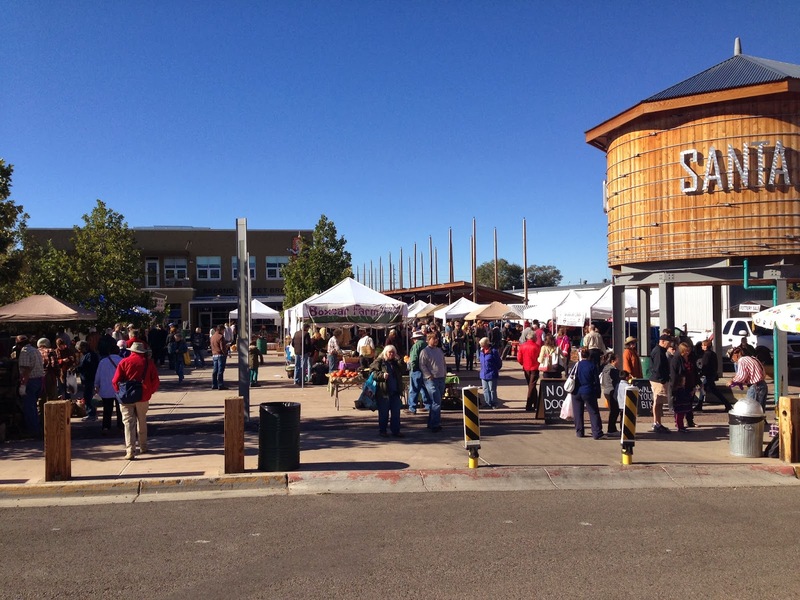 More than 80 vendors gathered at the Railyard that sunny, crisp Saturday morning and we filled our reusable bags with USDA certified organic produce from nearby farms. 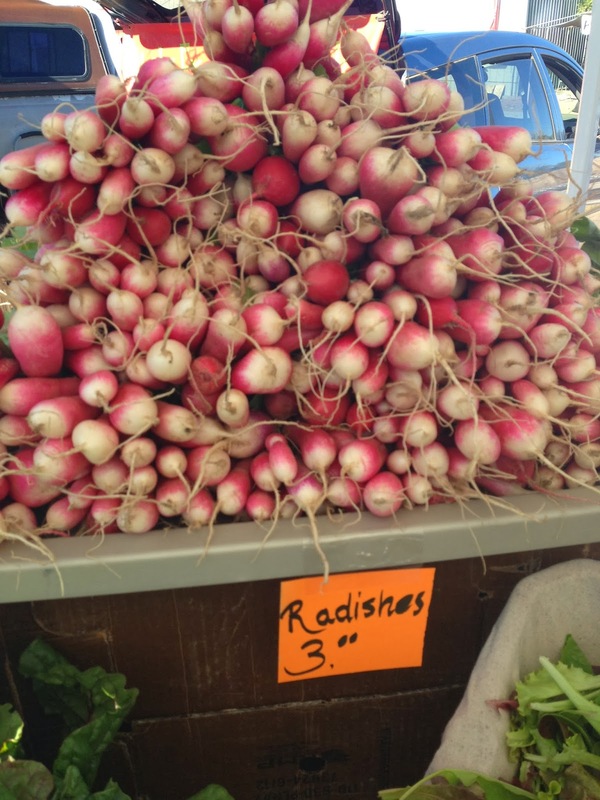 Here’s a few images of the beautiful and diverse array of produce and the spectacular local food scene. 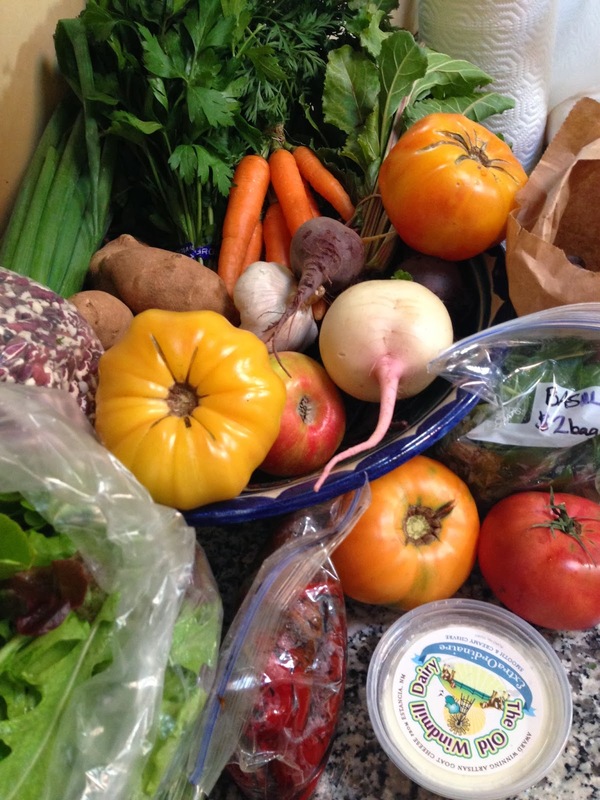 Below is a snapshot of what we bought at the market. Fortunately, I invited a college friend over for dinner Saturday night to enjoy a mini-reunion and a farmers market dinner. It was fabulous! 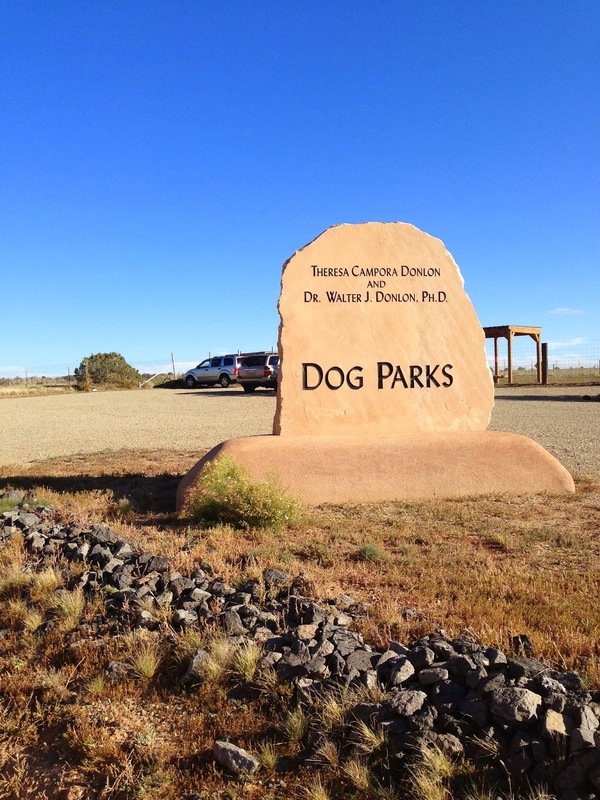 Santa Fe Animal Shelter Dog Park–Outside of town near the airport off 599 S, you will need to know where you are going to find this spectacular dog park located at the entrance to the dog shelter. 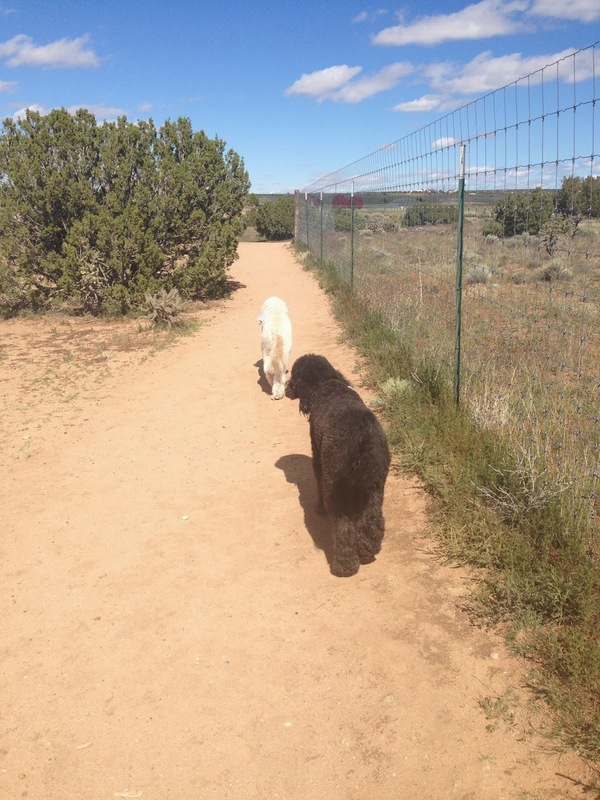 There are several fenced-off options, but we went to the biggest park and Nacho and Guero were in heaven. 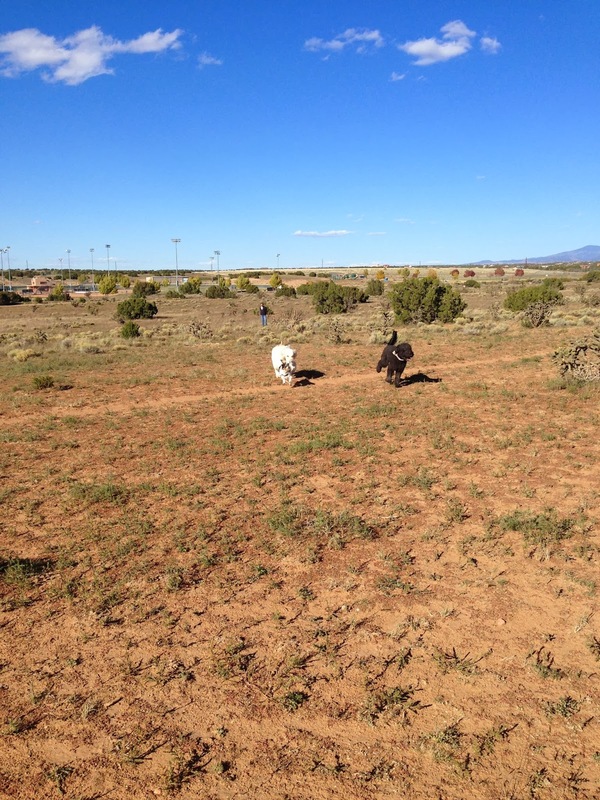 It was about 30 acres of natural terrain that made this fenced in dog park so special. 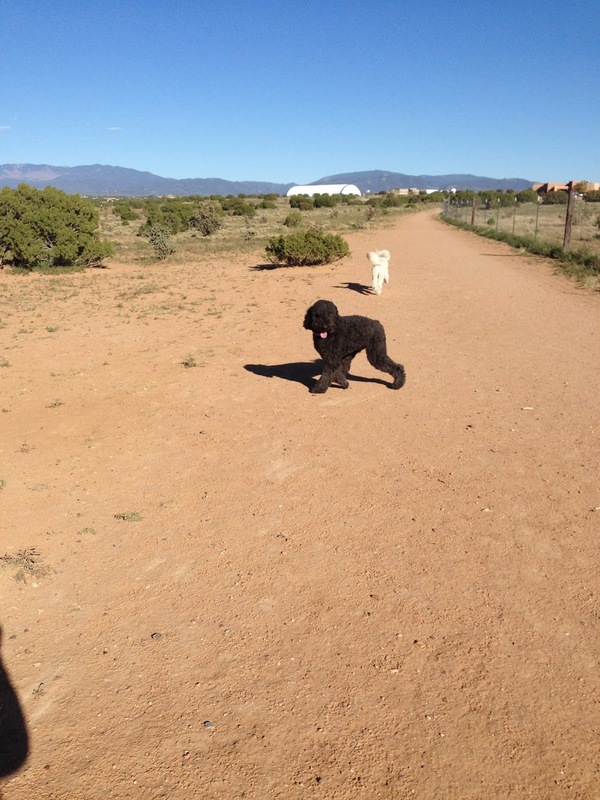 David and I walked along the main trail and the dogs would dart off to sniff to the left or pee to the right. Soon they would make their way back to us. Along the way, we met a handful of other dogs roaming with their owners and everyone enjoyed saying hello. If I lived here, this would be my go-to dog park and I would probably get involved somehow in volunteering with the animal shelter. It was just too nice of a space not to give back and say thank you. Milagro Herbs–I am a reformed skin care addict. I used to buy an excessive amount of skin care products–products that were made with chemicals and unnatural ingredients. Now, I am recovering and have moved on to use exclusively natural skin care products. So it was no surprise when we were walking down Canyon Road one afternoon, I redirected our path so I could walk by this store. Unfortunately, it was closed on Sunday (most of the town seems to shut down on Sunday), but we slipped in on Monday to check it out. David and I each got a few things including an all-natural sunscreen along with a few other skin care items made with natural ingredients and with healing properties. Whether you are a recovering skin care addict like me or not, this store has something that you need and they ship all over the country. Yea! 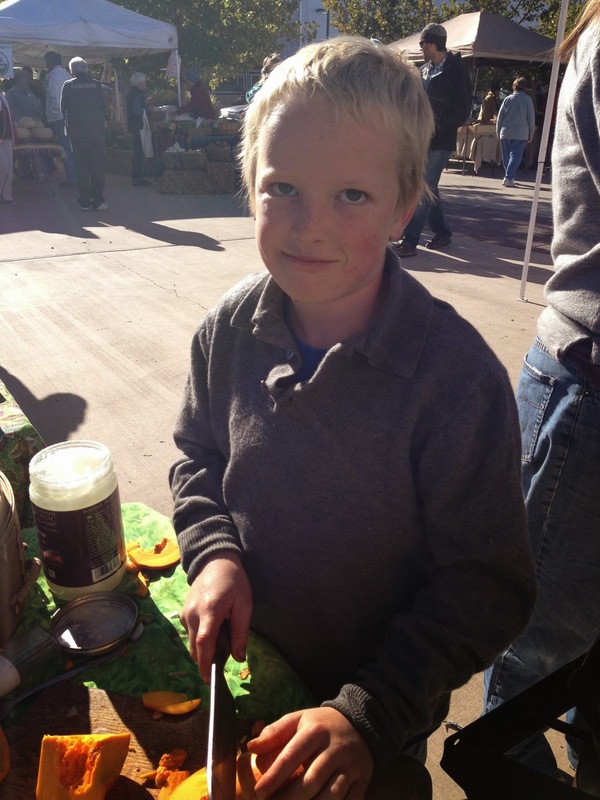 Tesuque Village Market–Located off of Bishop’s Lodge Road, Tesuque is on the outskirts of town, about 10 miles north of Santa Fe. 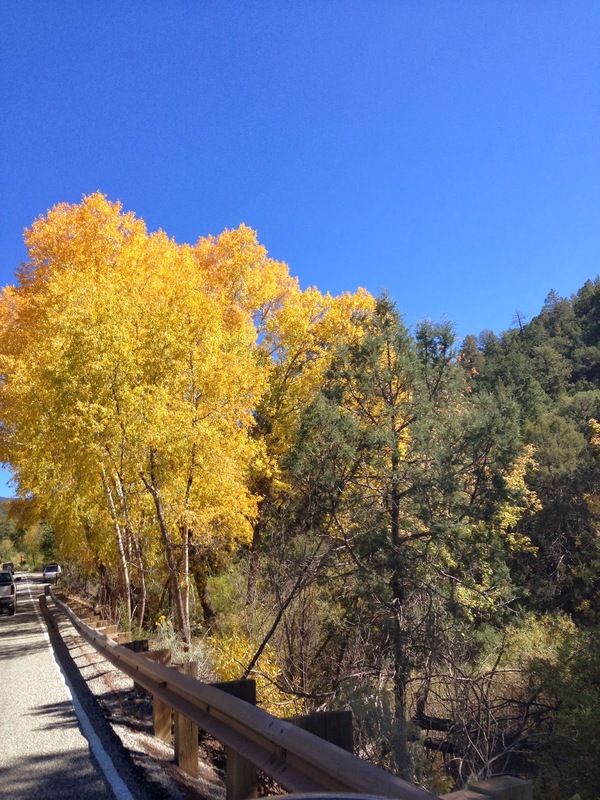 Nestled along a two-way, tree-lined street, Tesuque feels far away from the big city, but it’s not. Large plots of land make residents feel they hardly have neighbors. 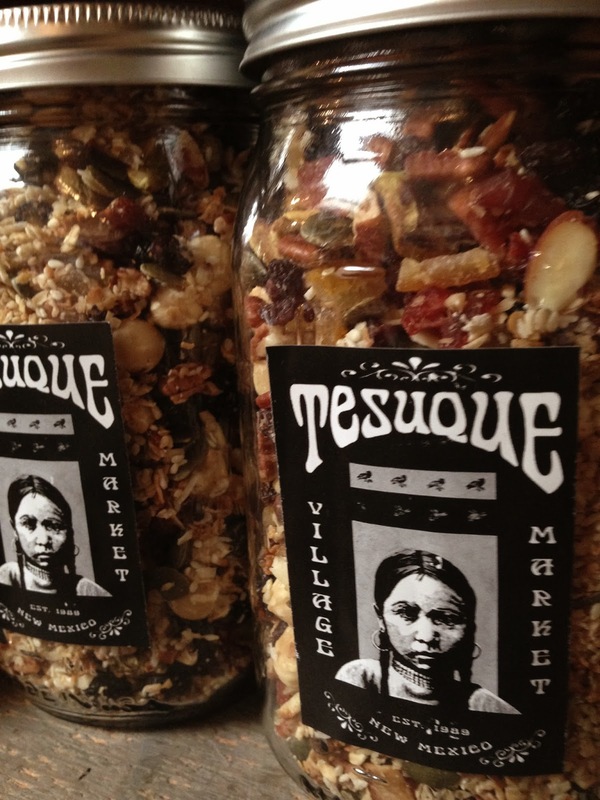 The Tesuque Village Market is the local watering hole that offers locals and tourists a place to gather and eat breakfast, lunch and dinner as well as procure essential pantry items such as pasta, granola and coffee. 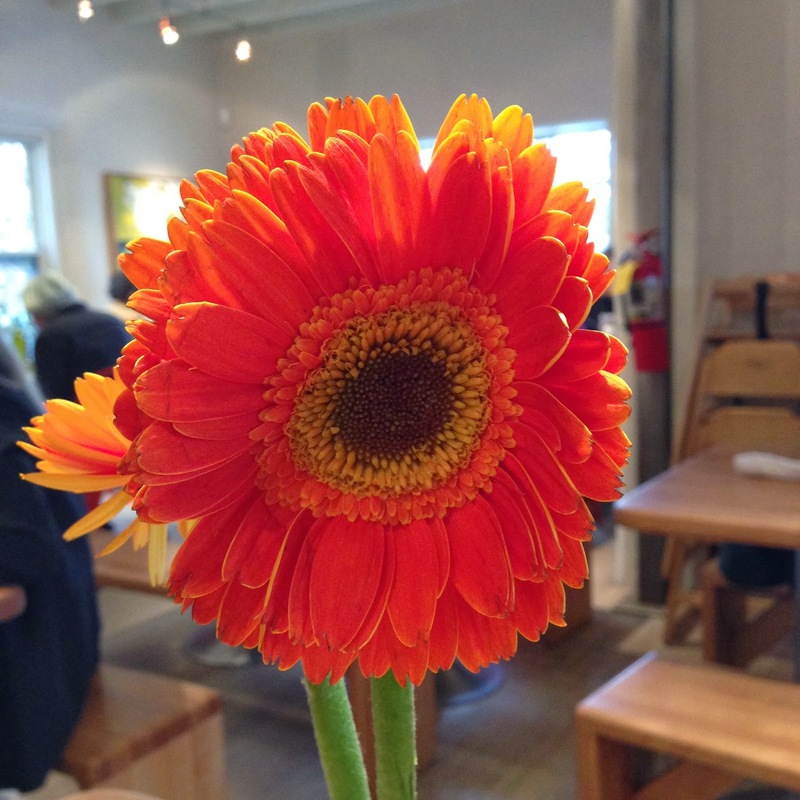 Downtown Subscription–On Garcia Street, just walking distance from the house we rented, is Downtown Subscription, a local coffee joint and magazine shop where the locals meet up, study and relax with a hot beverage. Step into Garcia Street Bookstore next door for something you can sink your teeth (and mind) into. 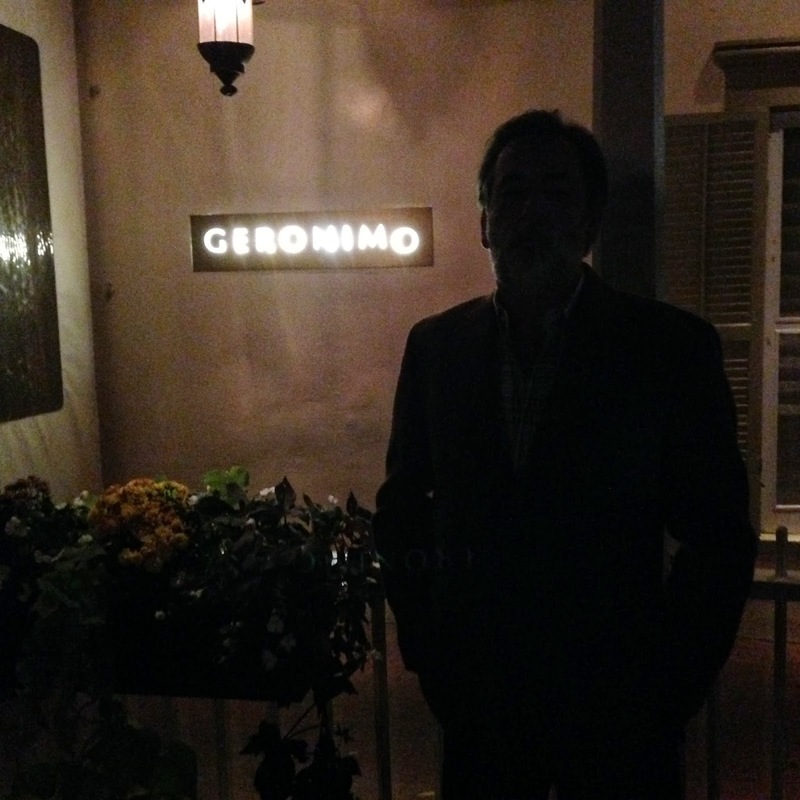 Geronimo–Since we were visiting because of David’s birthday, we celebrated at our favorite “fine dining” restaurant, Geronimo. 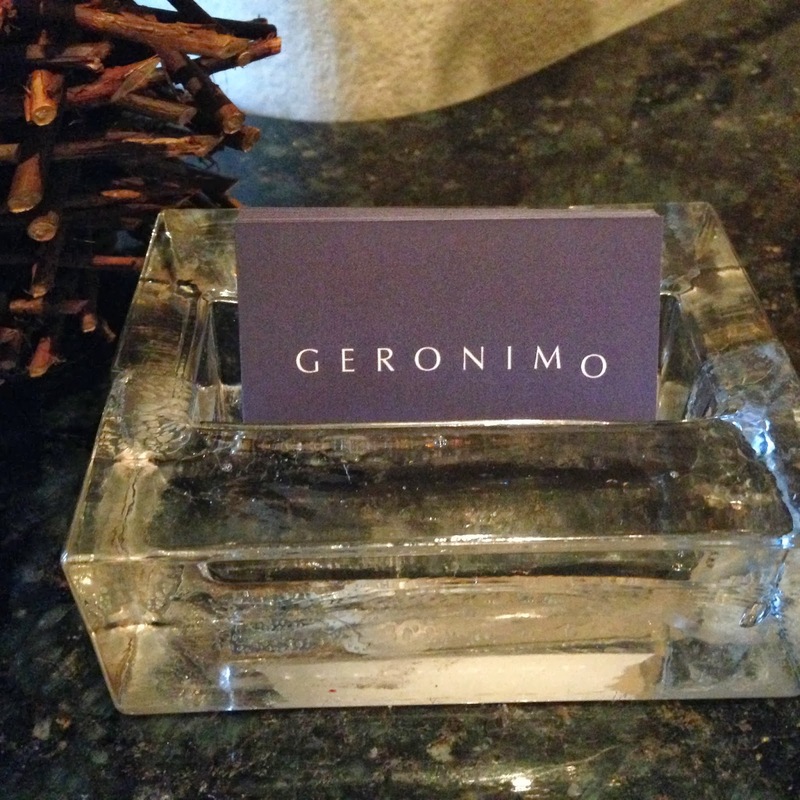 Perched along the famous Canyon Road, Geronimo’s is a place we always return to for special occasions. Chef Eric DeStefano (who, sadly and unexpectedly, passed away in 2016) made a name for himself as one of the city’s top chefs and his food impresses even the most savvy traveler and diner. And the service is some of the best. In lieu of freshly baked bread, they brought us a “gluten-free option” of candied cashews and stuffed olives. We shared the beet salad and loved every bite. David had the veal chop and I ordered the spicy shrimp with rice cakes. Hardly a morsel remained on either plate in spite of the fact that I had pre-ordered banana cream pudding for David’s birthday dessert. Oh well, you only turn 39 once, right? Wink-wink. Buen provecho and safe travels, wherever the path may lead you.